Working closely with our partner organisations ensures that Essex & Herts Air Ambulance is sharing best practice and helping deliver the highest possible levels of patient care in our region. In the East of England, Essex & Herts Air Ambulance forms part of a regional Pre-Hospital Critical Care Network which delivers 24/7 enhanced emergency medical and trauma care across the region. All 999 calls received by the East of England Ambulance Service NHS Trust (EEAST) are monitored by the Critical Care Desk, staffed by a specially trained Dispatcher and Critical Care Paramedic. Their role is to identify the most serious or life-threatening incidents and send critical care resources to help treat severely ill patients. At the scene, these enhanced medical teams work alongside Ambulance Crews to ensure the best possible pre-hospital care before transferring the patient to hospital. 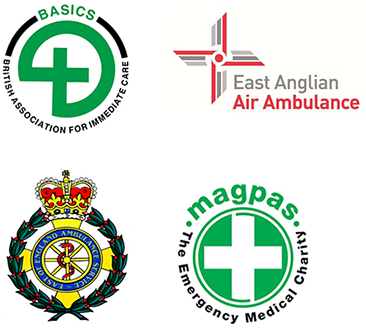 The Pre-Hospital Critical Care Network within the East of England includes EEAST’s extended skilled and Critical Care Paramedics and the following charities: the Suffolk Accident Rescue Service, Norfolk Accident Rescue Service, BASICS Essex Accident Rescue Service, the East Anglian Air Ambulance and Magpas Helimedix. You can view the most recent missions we have attended and with which partner here. 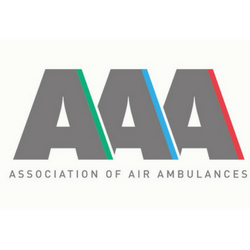 The Association was established as a membership body for Air Ambulance services in the UK. The Association’s membership is made up of charities, ambulance services and the supply chain that provides this valuable life-saving service. Members are governed by a Code of Conduct, which formally recognises the integral part that Air Ambulances play in the medical service provision. Patient well-being is the clear priority for Association members, and these close, collaborative relationships are vital to providing and continually improving the emergency response network.